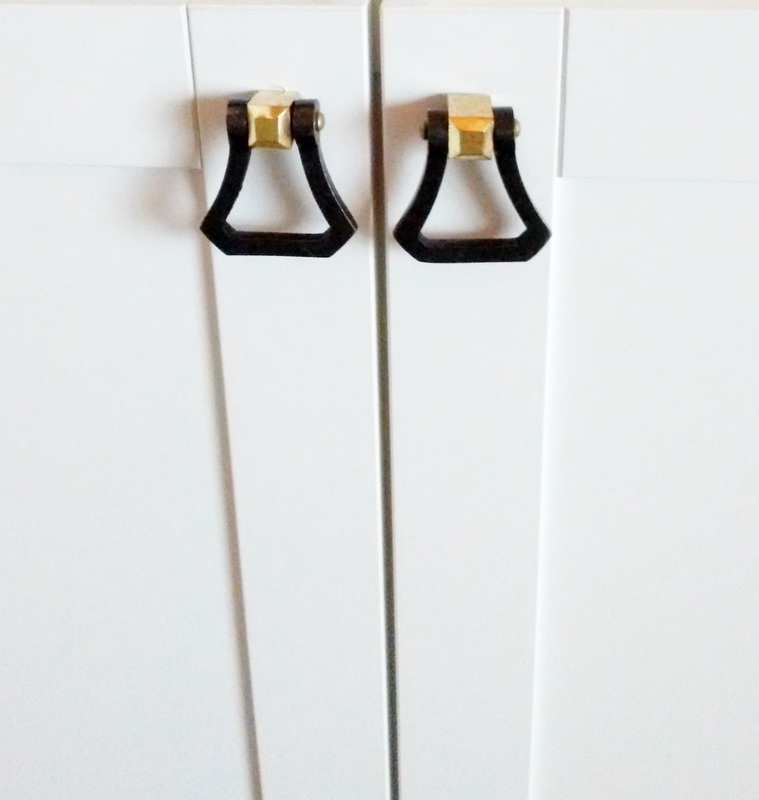 When you want built-in cabinets, but don't have the budget for custom woodworking, try doing what we and so many others have done - go the DIY route! This was actually the very first project we DIY'd in this house. 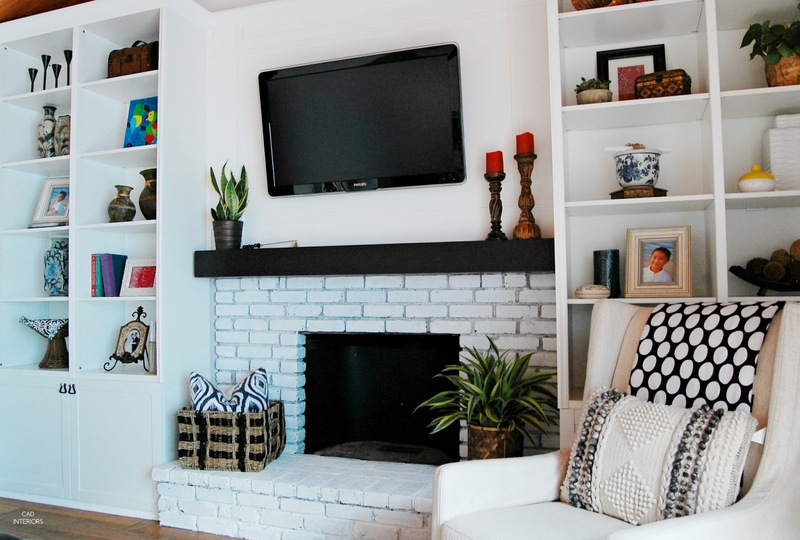 Renovations make you prioritize where to spend your dollars, and custom wood built-ins were not in the cards at the time. So, we ultimately opted to retrofit different Ikea components to construct our built-ins. However, as my hubby's carpentry skills have grown, building them from scratch for another room is an alternative possibility. Do you spot the pumpkins? 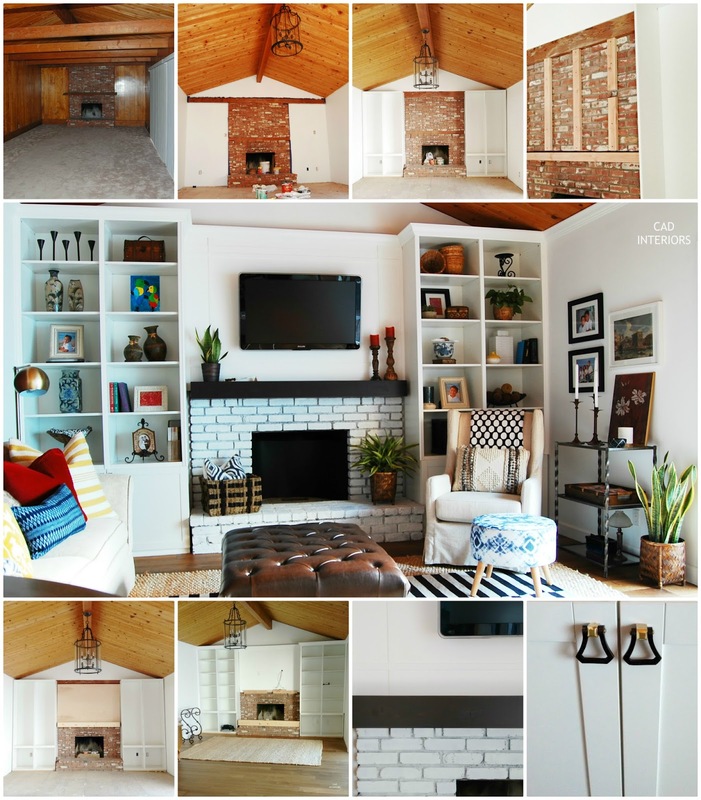 We continued the crown molding from the ceiling/wall to around the top of the built-ins - making them look more intrinsic to the house. Molding was also installed to the base of the cabinets, while trim molding was added to conceal the areas where components were joined. These pulls were purchased from here. Stock cabinets don't often come with hardware - or if they do, they usually aren't very interesting. Adding "pretty" knobs, pulls, or handles are an easy upgrade that will give you some design bang for your buck. Lighting is so important. 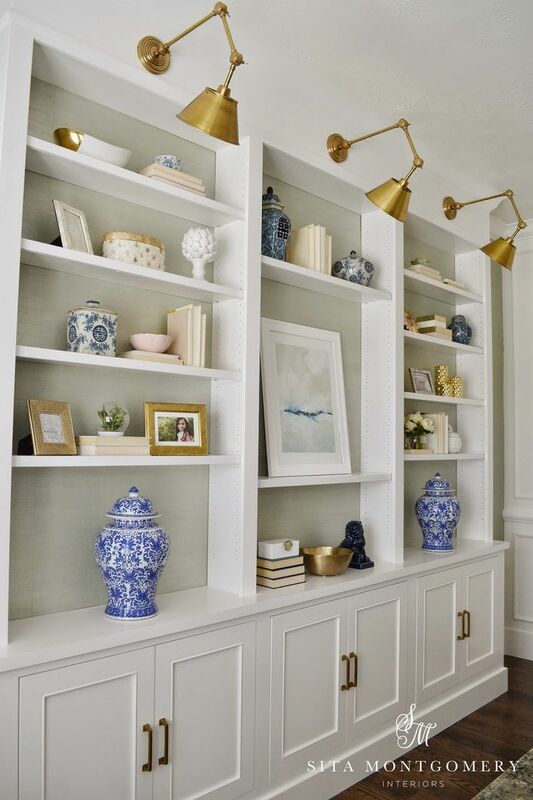 If you have a wall or somewhere to mount it, install decorative sconces or library lights to the unit. 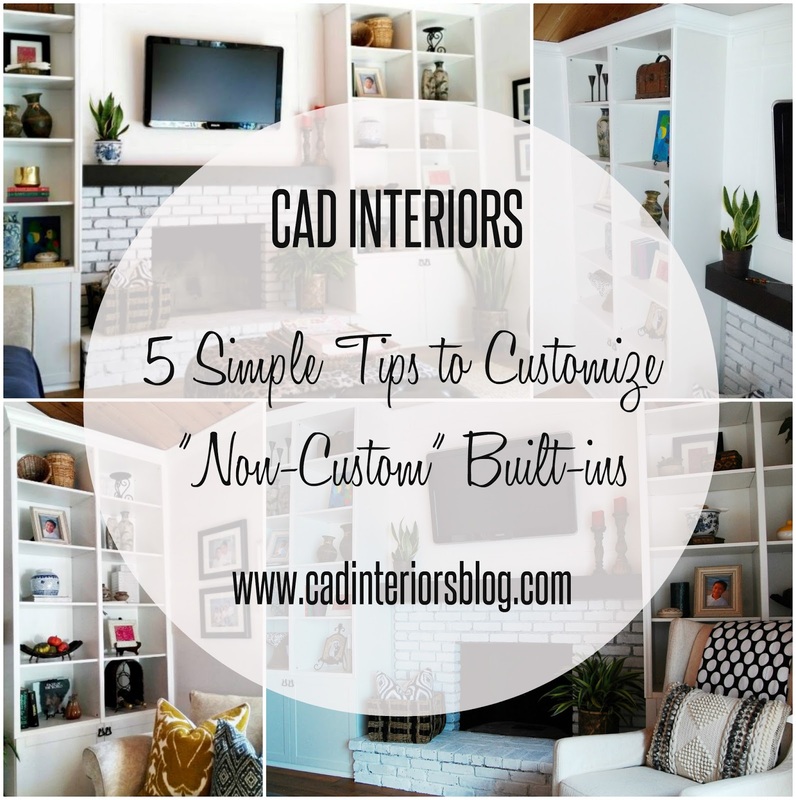 It will provide both function and beauty to your built-in. 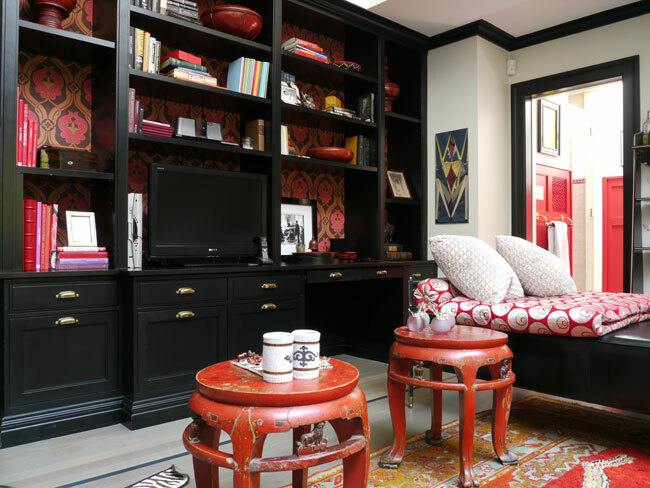 Bold built-ins are one of my favorite things! 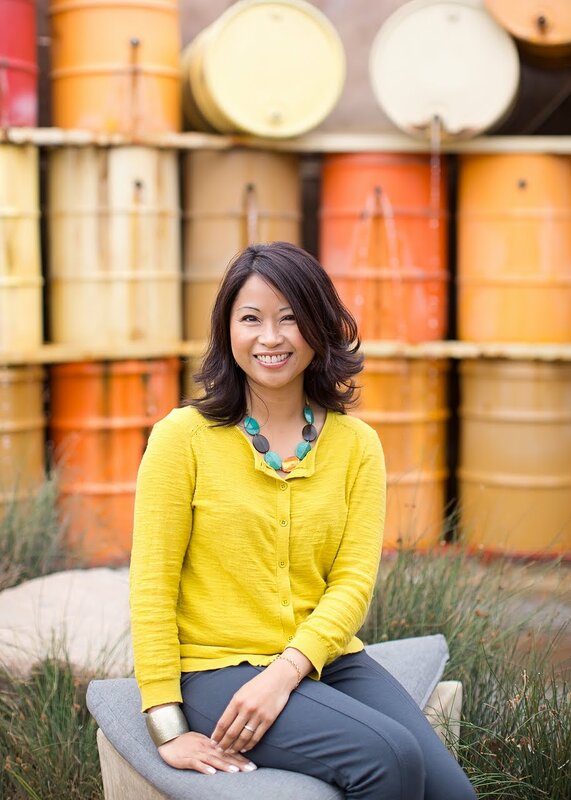 Read more of my design and decorating tips. Beautiful ideas and inspirations Carol! 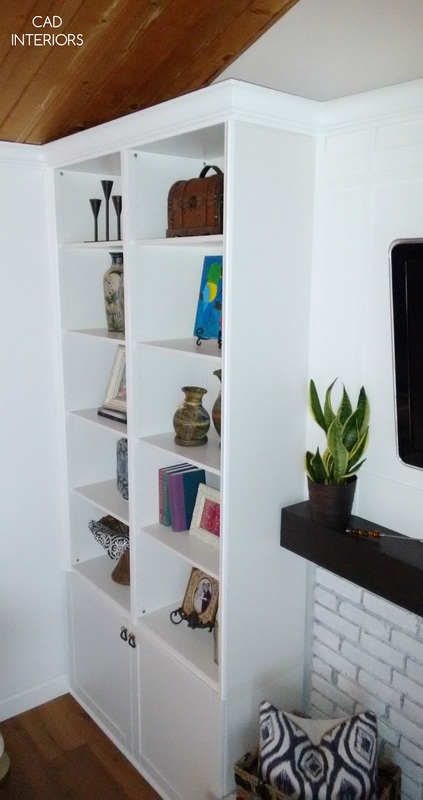 Painting the back of some of our bookcases a contrasting color was a game changer. 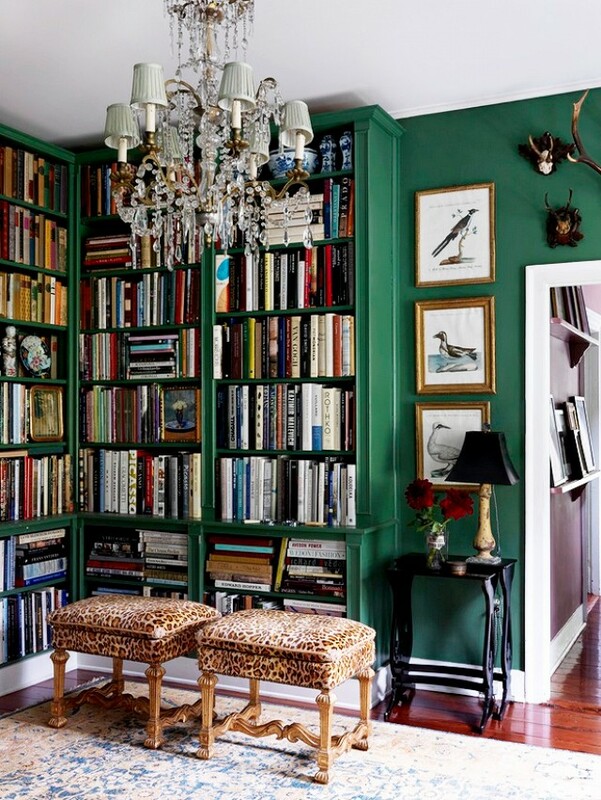 I love bookcases painted a rich dramatic color too. Such a statement!